This is for those of you out there who are after something totally unique as your new surfboard day bag, surfboard cover or surfsock, as we like to call it, and would like to be part of the creative process happening here at our cozy studio in Athens. We offer this feature for all sorts of surfboards, i.e. shortboards, longboards and everything in-between. Send us a brief description of what you have in mind, a sentence, a poem, a mood-board, a picture, a song, anything from incredibly vague just to get us started or something more specific. 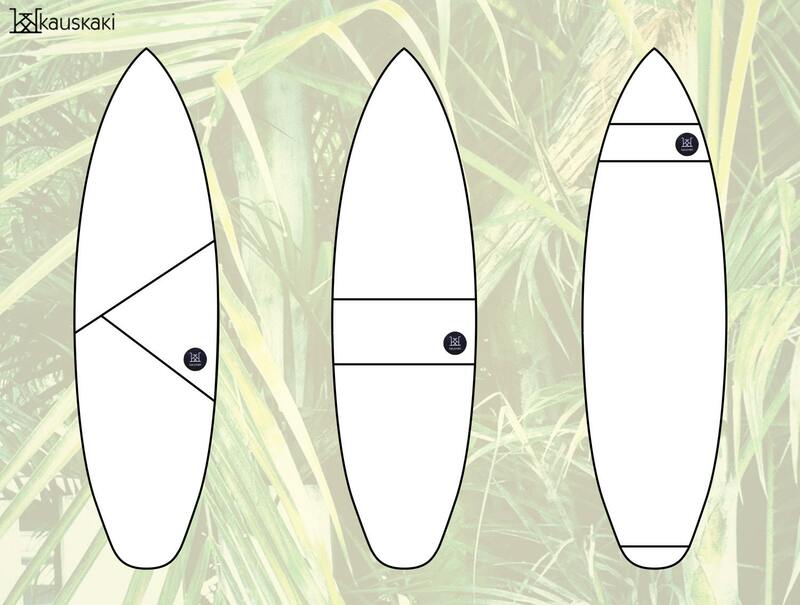 If you send us an illustration or a pattern you fancy (if not yours, please do the rightful thing and ensure you have the artist's permission) we can print that on our plain fabric exclusively for your surfboard cover. If you'd like our creative team to design a pattern from scratch for you, simply let us know (priced upon request; availability subject to workload). 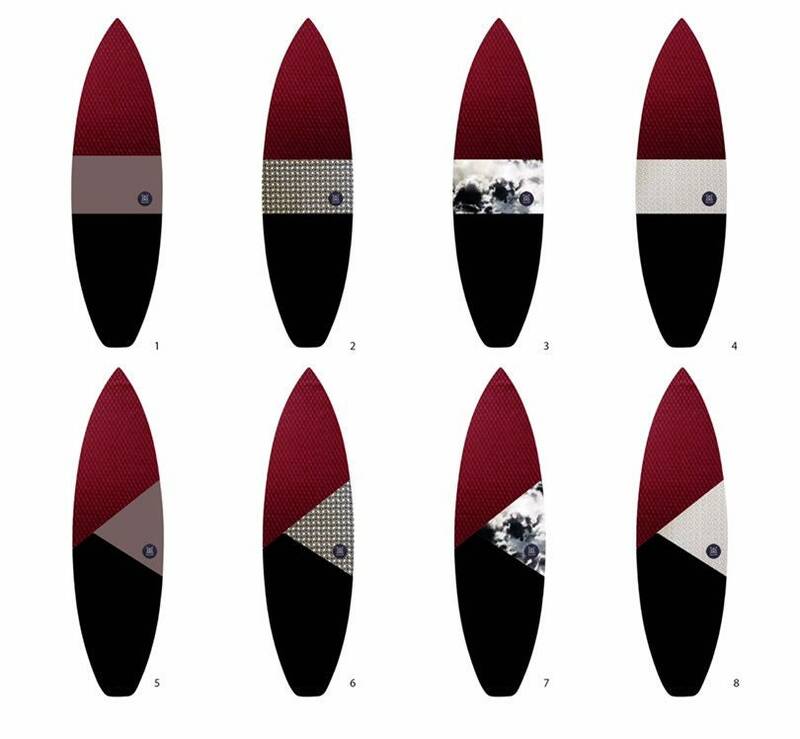 We'll prepare three to six proposals and involve you for a couple of rounds, so you can tweak and finetune to get the perfect design for your surfboard's new best friend that will fit like that perfect hug. Check out some of our previous work in the photos to get a feel for what you’ll get. Not feeling too artsy? 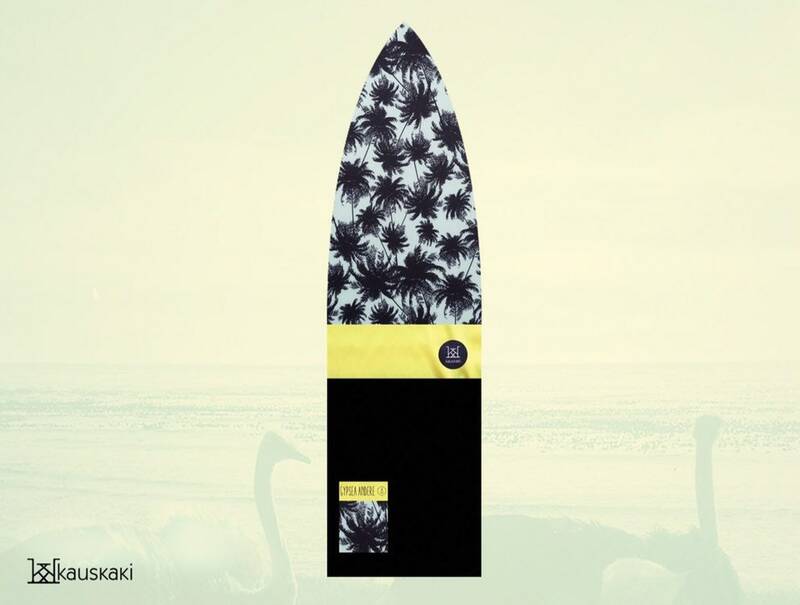 Check out our current collections https://kauskaki.gr/shop/22809406/oh-surfboard-socks and https://kauskaki.gr/shop/18873303/so-surfboard-socks as well as some of our previous creations on our Gallery https://kauskaki.gr/gallery and let those inspiration juices flow. PS. Our dispatch time of 1-2 weeks starts counting once we have the final 'Go' on the design. If in a hurry, please let us know and upgrade to speedy shipping (FEDEX international courier) upon checkout. Fabric colours and patterns are subject to availability. Given the nature of your order, after we have kicked off the creation process, we will be unable to accept any cancellation. We are however very flexible in changing the design until the point we have started production, fabric cutting in particular. We deliver our sufsocks for free (standard parcel service with tracking number and signature via the Hellenic Post Office aka ELTA) wherever you are. Yes, worldwide free shipping! When shipping to Europe, it typically takes 3-7 working days according to the post office, but it always depends on local post service at the destination country. We have had parcels sent to certain EU countries that took up to two weeks. For further away, e.g. Indonesia, USA etc, delivery times can reach or exceed 10 working days (2 weeks). For a subsidised competitive fee, you can upgrade to speedier delivery at checkout*. We use FEDEX international courier. That means you get advance status notifications and EU or US delivery times as short as 1-3 business days. Please do not forget to share your phone number with us for the courier to reach you. Please always check the dispatch times on each listing, as they differ across our product categories. 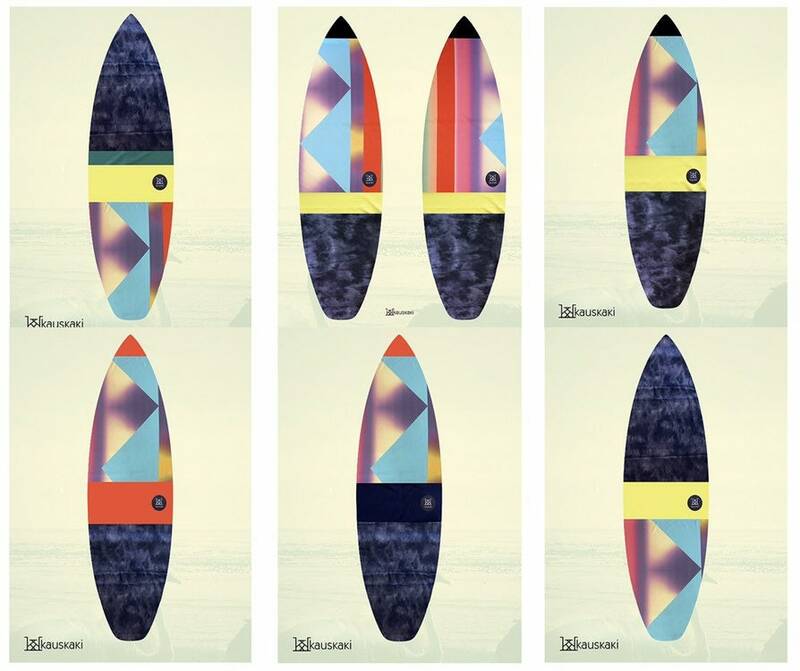 kauskaki surfboard socks are tailor-made just for you, in fact, your board. 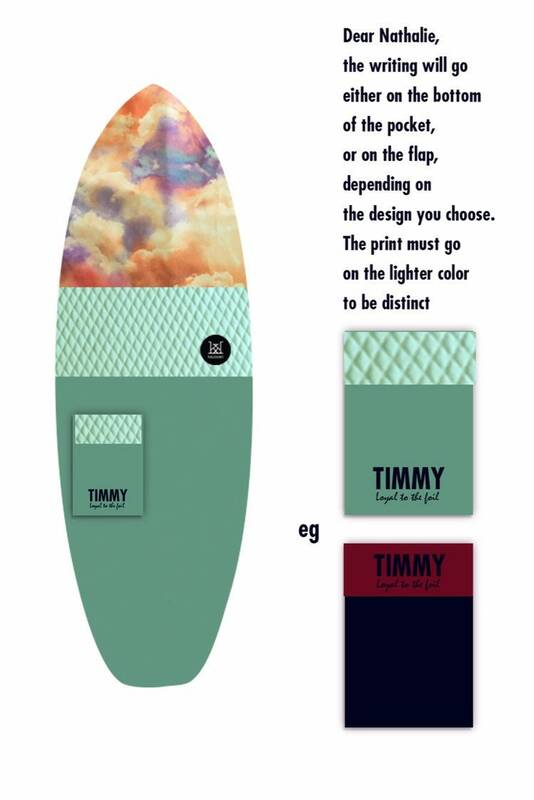 Please allow for approximately 1-2 weeks for design adjustments, production and dispatch, after we have received your board details. Let us know if you are in a hurry to leave for your upcoming surftrip or if you are ordering for a present - we will try our very best to prioritise your order. *Please note that upgrading to speedy shipping, that does not shorten the time we need to make and dispatch your item, only the shipping method, i.e. delivery time. 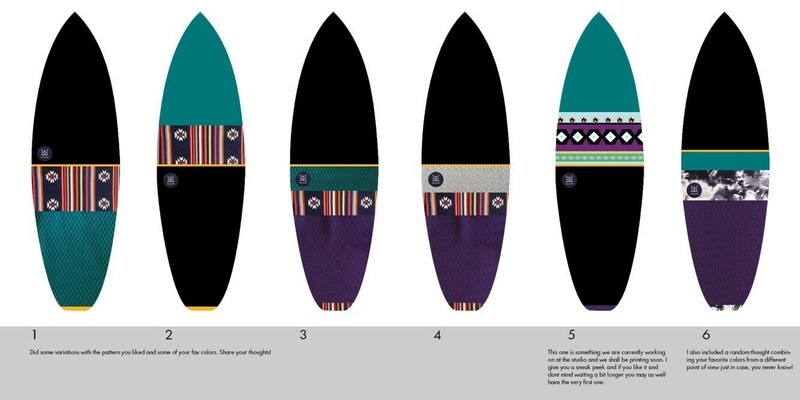 Custom, bespoke or 'Build Your Own' surfboard socks tend to take longer and depend on how quickly we land on the final design following the initial brief. After we have the green light, we typically dispatch in 1-2 weeks. 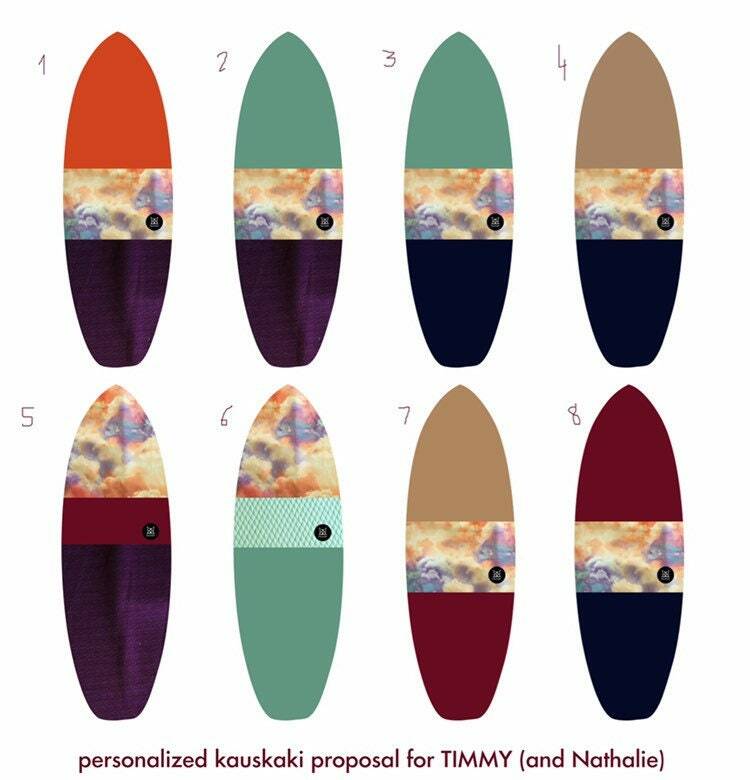 Surfsock: If you do not like your bespoke kauskaki, you are welcome to ship it back within 30 days from purchase and we will offer 'shop credit' which means we will make and ship you another one that meets your expectations (unfortunately free worldwide shipping policy does not apply for returns and second delivery). We will not be able to refund you unless exceptional circumstances apply. We would really appreciate if you told us what went wrong. If your kauskaki does not fit your board perfectly (as per dimensions provided) or has any manufacturing fault, then please send us pictures within 30 days from purchase and we will replace it with the same or similar design - subject to fabric availability. In this case, shipping is on us. 1 year warranty / fair usage policy: If the product develops any manufacturing fault please send us pictures and we will replace it with the same or similar design - subject to fabric availability. Free worldwide shipping policy applies for replacements under warranty. Our Immortality Promise is basically a Lifetime Fit and No Waste Promise (project under construction): kauskaki sisters hate waste as much as they hate ill-fitting surfsocks. 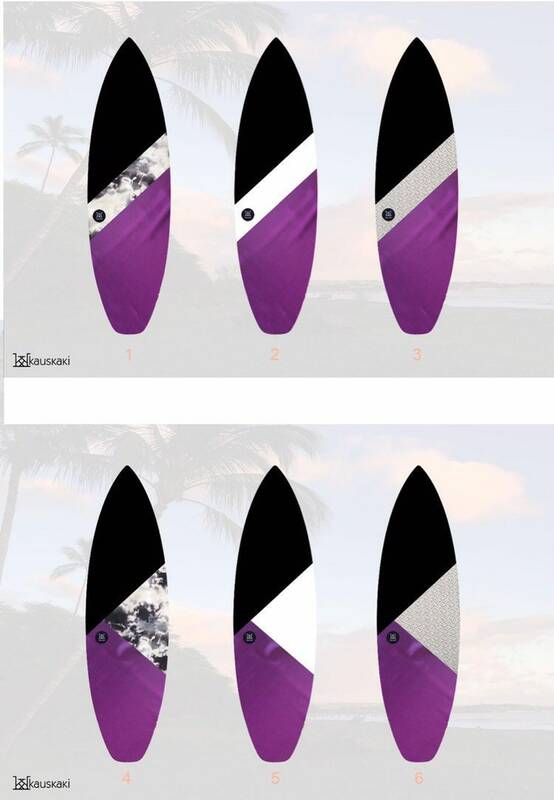 Join the discussion on our SURF SWAPSIES facebook group where you can sell your old kauskaki surfsock and get a discount from your new one when your board dimensions change. You can also send your surfsock back to our studio for repair / recycling / retailoring / exchange. 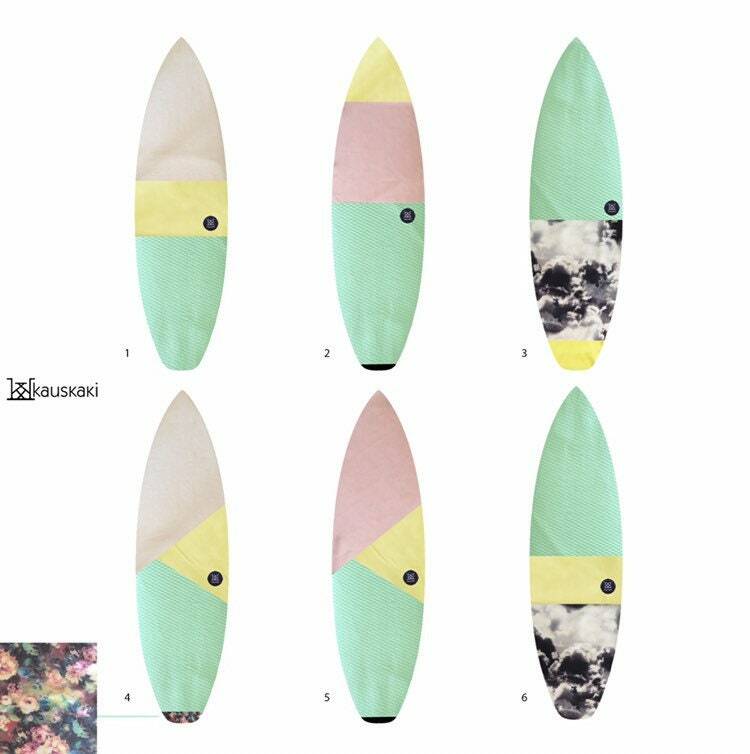 Depending on its condition we will be able to recommend the best approach for an everlasting awesome surfsock, minimizing the use of fabrics. Get in touch for more. Special Summer Beachwear Collection (limited edition) - 31 BeachStreet: our dresses are made one size to fit Small / Medium and are best worn loose and baggy. If your chosen dress does not suit you, please return (at your own cost) and we can ship another one. Special custom order is recommended for XS, L or XL. Due to the small number of items (31 only), we may not be able to exchange if you require a different size if the same fabric is not available or if we have already reached our maximum production. But worry not, we will try our best to please you! AW17-18 Limited Edition Winter Womenswear aka Oh, Playsuits: Returns are accepted if shipped back within 30 days from purchase and Exchanges are subject to availability. Please contact us for options as soon as you realize the size or fit is not perfect so we can secure stock for you. Minions: if your mini surfboard-shaped pouch has any manufacturing fault, then please send us pictures within 30 days from purchase and we will replace it with the same or similar design - subject to fabric availability. In this case, shipping is on us. In the highly unlikely event of something going wrong, we always strive to serve you and ensure you meet your new kauskaki item on time and in full. However, we cannot assume full responsibility for any loss or damage caused by the various post offices handling the parcel when that exceeds the shipper's default insurance policy. We are also unable to absorb the cost for customs clearance which is particularly applicable to shipments into the US. All our items ship from Athens, Greece (part of the EU) so depending on your country, you may be responsible for paying some kind of import tax, duty, handling fee etc. Please google your country's policy if you are concerned about unexpected fees. We cannot be held responsible for items abandoned at customs due to fees. By the way, shame on you leaving your kauskaki on its own! That means we will not be able to send you a replacement item. If you wish to know more about insurance options available from Hellenic Post, please visit elta.gr and let us know if you have special requirements or any concerns. FEDEX courier - which is our preferred speedy shipping partner - will insure up to $100 of your order's value by default. Our favourite thing. Give us a brief, as vague or as specific as you wish and we will turn it into a set of six design proposals. You tweak, mix and swap and we prepare a final mock-up. Once agreed upon, we proceed to making one unique surfboard sock for you that fits your board like a perfect hug. Our surfboard socks are machine washable at 30'C / 86'F. They like to take a bath alone though. Colours may fade over time if exposed to the sun for long periods or frequently washed with mean detergents. Do not bleach or iron your surfboard sock, unless you understand the consequences of such behaviour. Our playsuits come with a care label to remind you of how to best treat them. They are machine washable at 30'C / 86'F, gentle cycle. Handle with care. Colours may fade over time. Hang to dry. Do not bleach, iron or tumble dry. If in doubt, play it safe or get in touch. All our surfboard socks are made to order and to measure. So we will need your board details. That includes dimensions, shaper and model. If you have a link to the shaper's website that's the easiest way to share this info with us. If not, or if the board is custom-made, then a picture against the wall with no angle, will do the trick. 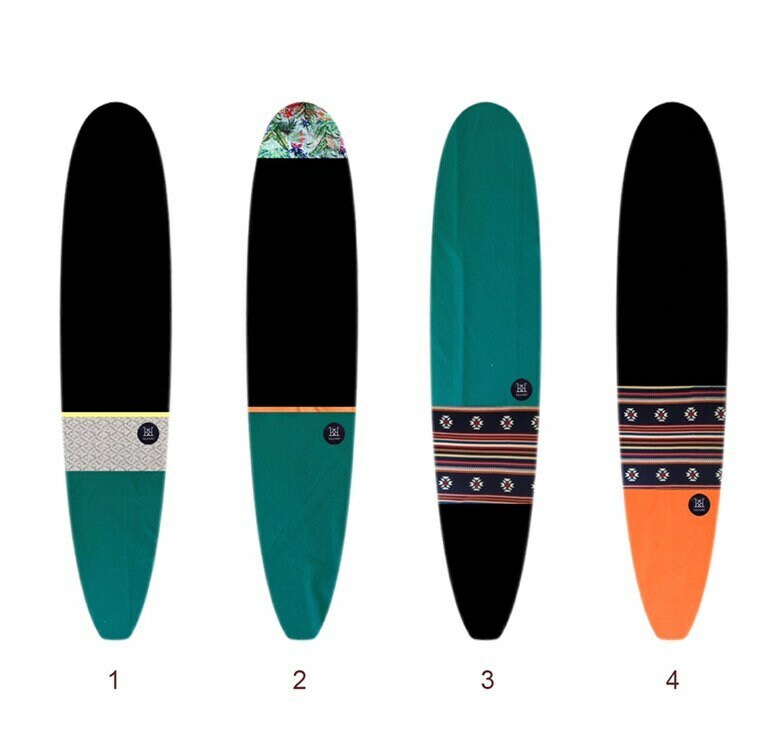 We pride ourselves in offering the perfect fit and price differently for each foot in length so it is imperative that - as a minimum - you know the length of your board and the nose shape. Our playsuits are designed for an absolutely relaxed fit. Our beachwear comes in one size and the winter outfits in Small and Medium. The model wears Small and her measurements are stated in the listing description. Our packaging is just enough to keep the product safe whilst in transit with the post. Our packaging and tags are made (often by us and one by one) from reused and/or recycled material. We do not use unnecessary plastic and when we have to use some it is because we are certain it will protect the product. Gift wrapping: we wrap all orders beautifully but based on the principle of minimizing waste. We do not include an invoice, so it is always safe and proper to send directly to the gift recipient. An order note is includes in the form of a personal message from kauskaki to the recipient. You can request to personalize it or replace it with your personal message instead. We work with select surf, design, lifestyle or relevant type retail shops but 'bulk' is a term that requires clear definition. We do not mass produce. We always make to order, and to measure and plan to keep it that way. Small batches. Global reach. We offer exclusive designs to our retail partners and love to see our product featured in surf-centric establishments, like resorts, cafes, co-working hubs, sports facilities etc. Get in touch to discuss any idea or collaboration proposal. In a nutshell, our minions are miniature surfboard-shaped pouches made entirely from boardsock offcuts. They come with a card that includes a personal message to the gift recipient and instructions on how to redeem their full-size surfboard sock. If too late for this, consider offering a digital gift card instead. All items and their variations are available in our Gift Cards shop section https://kauskaki.gr/shop/18235096/gift-cards?